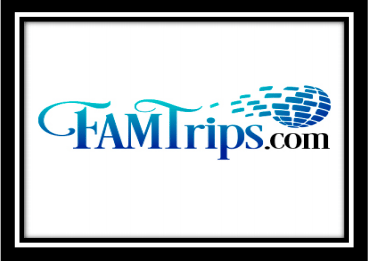 Fam Trip (or known in our industry as “FAM”) is a reduced rate trip for travel professionals to familiarize agents with the destination, service and product. FamTrips.travel and our suppliers work hard to offer agents the most educational and exciting tours possible at substantially reduced rates. These trips take months of planning and a lot of hard work. Please be respectful of your hosts and tour conductors. If you have complaints about a tour or property, do not complain while on your trip to local staff. After your FAM you may provide us your honest opinion of the FAM at that time. Come prepared. Pack appropriate shoes and clothes for the climate and destination. Most FAMs include lots of walking during the day and some kind of reception or meal function in the evenings. Many of the restaurants have dress codes so be sure to bring more formal or business attire clothes if suggested. During the tour portion of the trip short-shorts and revealing clothes are not allowed. If you are unsure of what to pack, please ask FamTrips.travel. Showing up to events obviously drunk or intoxicated in some way is forbidden. Be on time! Many of our tours require a strict schedule. Make sure that you are on time for all scheduled events. Being late for any tour or scheduled event causes problems for tour guides and ground operations. Do not discuss with other guests what you paid for your stay. Do not solicit guests to book with your travel business. Do not interrupt, talk, walk away or ‘do your own thing’ while your guide is talking. Be Neat. While participating in on-site inspections; never sit on the beds, and be sure never to leave anything behind. This includes leaving trash in the trash cans or toilets. These rooms or cabins have already been cleaned for the next guests checking in and should be left the way you found them. Do not act entitled! We cannot stress this enough. One of the main complaints we receive from tour suppliers is that so many travel agents feel entitled. It is not only rude but portrays a poor image for your group and our industry. Tipping- Unless notated, gratuities are not included. Please be generous with your tips. Please communicate your desire to make changes to your tour leader or host. Changing your flight arrangements, room or cabin number during your FAM and not telling them, causes many problems. Remember you are on a FAM Trip and not a personal vacation. Most land FAMS are fast paced and intended to show you as much as possible for the time allotted. Take notes and lots of photos. Sure you want to experience the destination and the delicious meals but more importantly, you want to remember details so that you can tell your clients all about the destination or product. Enjoy your FAM experience and please take note of our FAM Etiquette guide lines. Good FAM Etiquette will allow you to be invited on future FAMS and helps to insure you stay off industry ‘Black Lists’.